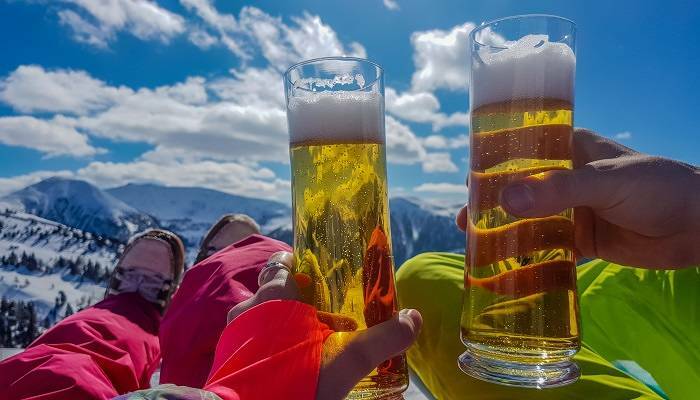 Although it was coined by the French and established in the Alps, you’ll find an après-ski scene in almost any winter resort town and Bansko is no different. While it is often related to the party scene, the term encompasses any activity you fancy getting up to after a long day zigzagging down the hill. 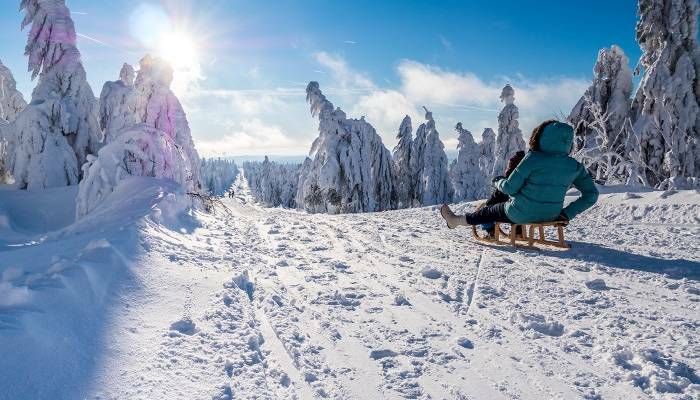 Here are a few of the best ways to spend your post-ski time in this Bulgarian winter wonderland. 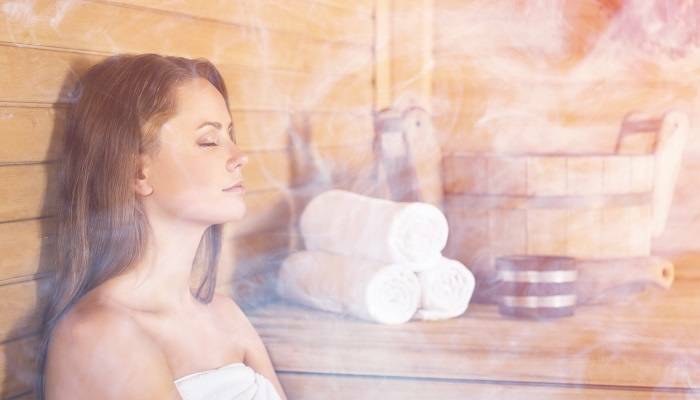 There’s nothing better for tired skiers’ muscles than a hot sauna, steamy Turkish bath or long soak in the Jacuzzi. If your accommodation doesn’t come with an on-site spa, then you can easily use any of the larger hotels’ for a small fee. If you’re looking for a more authentic experience, then head one town over to the Dobrinishte Public Mineral Baths. Stepping into these natural springs is like stepping back in time, with the decor still very much as it was 30 years ago. The baths also keep tradition alive in that you aren’t allowed to wear swimming costumes in the water. Never fear though self-conscious ones, they are segregated into male and female pools. If you’ve got little ones, then this can be a great way to spend an evening in Bansko and swapping skis for skates makes for a fun way to wind down the day. The ice rink is only a five-minute walk from the gondola and is inexpensive to visit. Alternatively, rent a toboggan from one of the ski shops along the main street and have a little downhill amusement that starts, rather than ends, with you on your bum. Though dance music and neon lights are a mainstay of Bansko centre, there is a quieter and more traditional part of town to be explored. You’ll find the old town about a 20-minute walk from the gondola lift. 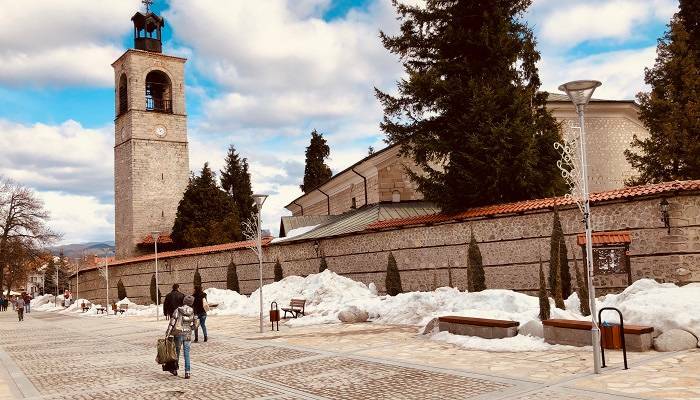 Here the architecture is a lot more traditional and the restaurants a lot quieter, allowing you to see Bansko as it would have been decades before. Take a wander to the Holy Trinity Church, which acts as the centre point for the area, then pick from one of the quaint family-run restaurants nearby for a spot of supper. With a wide-ranging and rowdy party scene it would be rude not to sample some of it while you’re in town. Start with a glass of rakia, Bulgaria’s national drink, at one of the more traditional mehanas. These local taverns offer a cosy atmosphere and live music, easing you gently into your big night out. Next, head onto a bar for a cocktail or two – Bar 360 and Pirin 75 always attract a good crowd. Finally, go ahead and shake what your mama gave ya at one of the many dance clubs near the main street. Oxygen, Flash Club and Jack’s House are all big hitters and offer a great mix of dance, pop and house to perfectly soundtrack your night. Fun but a little dangerous at any time, indulging in a spot of retail therapy in Bansko can be good, rather than bad, on your pocket. This is because there are some absolute bargains to be found in the ski shops that cover the town centre. 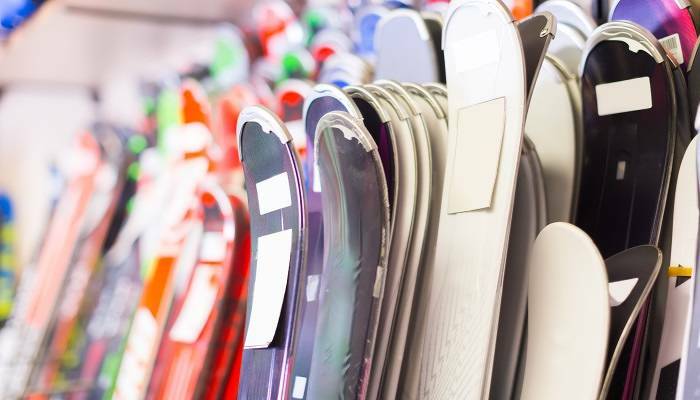 Even if you don’t fancy increasing that luggage allowance to bring back a new board, you can easily pick up a great pair or goggles or a brand spanking new jacket and still squeeze that suitcase shut. Better yet, pack light on your way out so you can return with loads of low-cost goodies to wear on next season’s jaunt.